We are so excited to be presenting at the upcoming SHRM 2018 Annual Conference for the fourth consecutive year. We enjoy going to the show each year as an exhibitor to meet new friends, chat with our clients, showcase ApplicantPro, and get up to speed on top HR trends. This event is an awesome platform for HR businesses to showcase products and services, and for HR professionals to connect and share with one another. From attending for the past few years, we’ve learned that it’s important to optimize your time - there are so many cool things to do and see. If you are one of the lucky guests going to this year’s show, make a note to stop by our space - we’d love to meet you! This year, we‘ll be setting up shop at booth #3830. We will be playing an awesome Hiring Bingo game that will keep our guests entertained throughout the show. Attendees can stop by the booth to learn more, grab a Bingo card, and jump in the game. Watch for Bingo clues via text to win big prizes like gift cards, t-shirts, and designer purses! Prizes are first-come first-served basis so be sure to follow along with each clue. With our clients in mind, we’ve decided to dedicate part of the booth to client questions and trainings, led by our CEO, Ryan, and a couple members from our Client Success Team. Clients can stop by to learn more about new features within the software or chat with Ryan about your experience, or ask questions. We will also be running a special client-only Hiring Bingo game, with higher chances of winning. We’ve set aside some great prizes for both Bingo games, so make sure you get a card and play along. In addition, Ryan has been asked to speak in two concurrent sessions throughout the week. We’re excited to support him as he shares one of our most requested topics, Understanding Metrics: How to Make HR’s Goals a Valuable Asset Relative to Business Strategy. Guests can expect to hear about how to identify measurements within the scope of sales, marketing, web, and customer service metrics, how you can impact the metrics, and how to frame your role by aligning business objectives and HR metrics. Follow the links below to learn more about the sessions! We’d love for you to come hangout with our team at booth #3830! We always love the opportunity to meet our clients and prospects in-person. If you have free time between sessions or are wandering around the hall looking for something fun to do for a few minutes, we’ll be there! 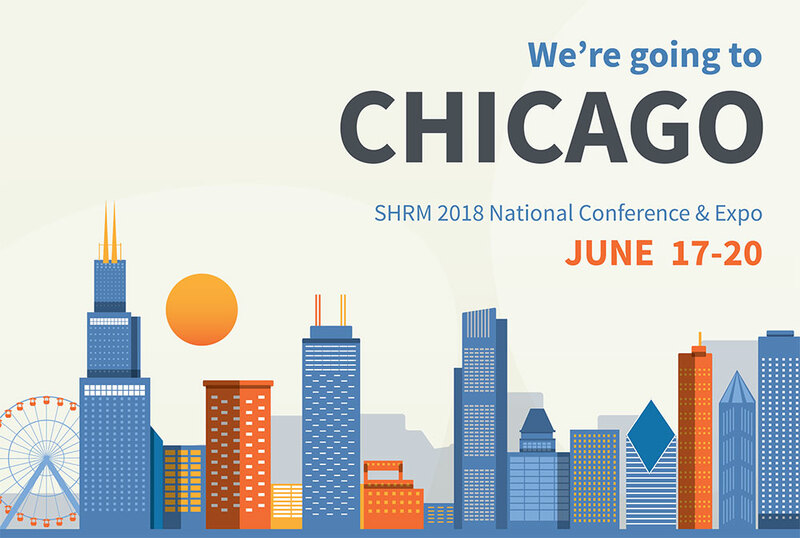 Click to learn more about SHRM 2018 Annual Conference & Expo and how it can benefit you and your organization. For the 6th consecutive year, ApplicantPro has been named one of Inc. Magazine’s 5000 Fastest Growing Companies! Be part of our growing list of happy clients!